In the beginning, yoga teacher training was an excuse to travel across the world, wear cute leggings, meet a few new friends, and get the firmer body I've always wanted by practicing asana after asana for hours every day. I won't deny that I had always admired my yoga teachers at home in Canada; their flexibility, their peaceful voices during shavasana, and the glamorous lifestyle they appeared to live. I attended hour-long classes a few times a week and could hold a warrior pose with the best of them, so I thought I was physically capable of tackling a yoga teacher training program. In all honesty, I submitted that online reservation form for all the wrong reasons; having absolutely no idea how impactful those four weeks would be in reshaping the person I am today. Looking back; it was tough, it was rewarding, it was hilarious, it was sweaty, it was raw, it was real, it was truly life-changing! It's absolutely no surprise to me that many say Nepal is an acronym for never-ending peace and love. From the moment I stepped off the aircraft onto the tarmac at Kathmandu's Tribhuvan International Airport on that sunshiney September morning, I could tell I was going to really enjoy this place. The outpouring of warmth and love can be felt from Nepalese people everywhere you go, and I never once tired of their endless smiles or friendly 'Namaste' greetings. The truth is, I couldn't have imagined completing this course anywhere as special as Pokhara. The town is so peaceful and just the right size. Pokhara is home to a lush, vibrant landscape that takes your breath away at any given moment. Never have I experienced such intense evening thunderstorms, caught so many fireflies by the lake, admired as many shooting stars atop the yoga shala roof or experienced such beauty as the sun hit the icy peaks of the Himalayan mountain backdrop. 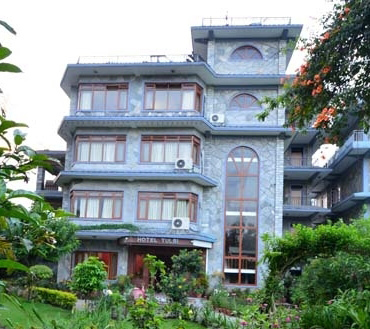 My home for the four weeks of yoga teacher training was a room at Hotel Tulsi; a beautifully-run establishment owned by Rishikul Yogshala, within walking distance of just about everything. From the well-manicured gardens that greeted me upon arrival (which were home to some of the most amazing exotic flowers I've ever seen), to the over-the-top friendly staff (that became close friends over the course of the program), to the quaint yoga shala out back of the property; it wasn't difficult to quickly get comfortable in this place. Meals were enjoyed three times daily on the rooftop terrace with views of the Annapurna mountains in the distance. Very early on, Tulsi's grass-covered third floor balcony overlooking the lake became a place of inspiring conversation, intense practice, mid-afternoon naps, and comfortable silence. 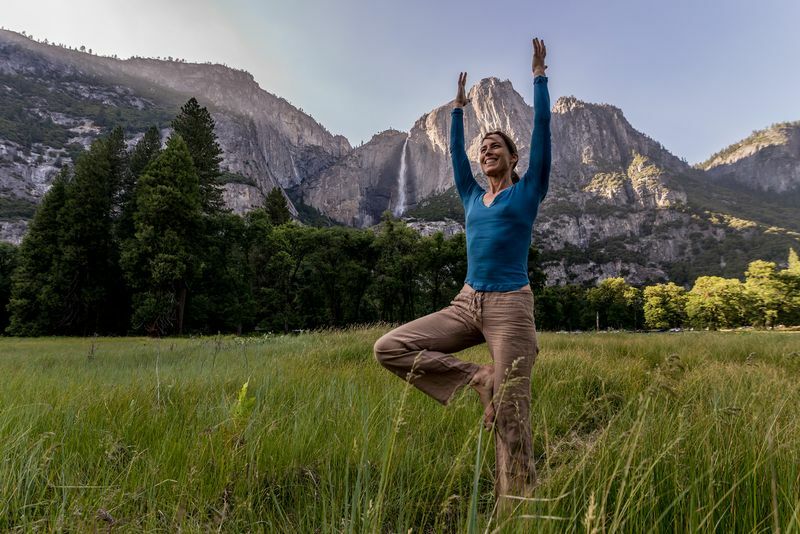 For myself, one of the more challenging components of the program was the adoption of an Ayurvedic diet (which differed a great deal from my regular western eating habits). To start, this meant refraining from caffeine, meat, and alcohol for an entire month. Lucky for us, the chefs at Rishikul Yogshala were wizards in the kitchen; using the freshest local ingredients, rarely duplicating recipes, and completely eliminating the perception that without meat one cannot feel 'full'. Breakfast was my favorite meal of the day; heaping plates of fruit, fresh curd, home-made muesli, eggs, potato pancakes and cup after cup of delicious (and incredibly beneficial) tulsi leaf tea. Occasionally, a few of us would wake up early and help the staff in the cooking of breakfast; introducing them to the infamous 'oatmeal pancake' recipe (that received rave reviews by all) and making everyone's morning a little more special with plates of beautiful heart-shaped hotcakes. Before every meal, we would all chant a mantra in harmony; blessing the food we were about to eat and protecting our bodies from any negativity that may come as a result of unsanitary conditions. As the program went on, I noticed my relationship with food began to change. I took the time to mindfully observe the rainbow of colors on my plate, to smell the fresh herbs and spices that flavored each dish, and I had an increasing desire to only put things into my body that was going to provide nourishment. Fast forward to four months post-training and I am feeling wonderful having happily adopted the exact same diet. Call them teachers, call them gurus, call them mentors, but most importantly call them (very wise) friends. 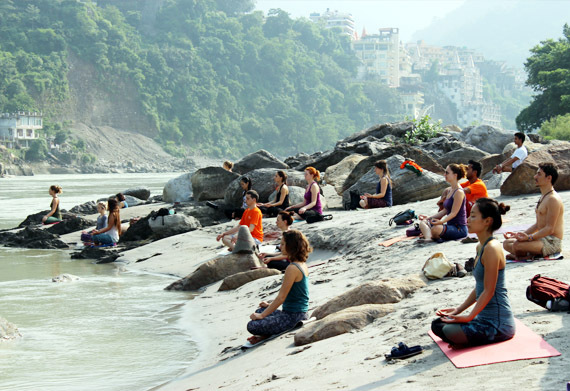 These yoga masters of Rishikul Yogshala have one goal; to open the hearts and souls of their students to unexplored worlds by passionately sharing everything they know and love about yogic science. For me, I felt an overwhelming sense of authenticity in who these people are; never trying to be something they aren't, just leading by shining example. Because of my instructors, I have been gifted a genuine Eastern yoga experience which, looking back, I cherish more than I could have ever thought possible. Believe me when I say that the greatest gift I was granted for surviving the fifteen-hour days, the nights of little-to-no sleep, and the plethora of physical body aches was not the certificate at graduation, but instead the seventeen beautiful souls that endured it all with me. People who (only four weeks earlier) were merely a 'face', and have since become so interconnected in my world that they are now my yoga family. Individuals who inspire me with their every story, and without even knowing it, encourage me to love the person that I am at this very moment. I will never be able to express the heart-bursting love connection I have with these humans in words, but it's a feeling I will never forget and I'll take a unique piece of each and every one of them with me throughout the rest of my journey. The course ran five days per week, and optional cultural experiences were organized on our two days off. These excursions proved to be some of the most eye-opening and rewarding moments of the entire program; encouraging each of us to reconnect with nature, the community, ourselves and one another. I meditated to the full blood moon from a tent high in the hills, saluted the sun as it rose from behind the Himalayan mountaintops, mudded then bathed in natural hot springs, and witnessed the innocent joy in young children's eyes as I taught them yoga on their school's grassy playground. Within the first minute of the first training day, it became obvious to me that I needed to throw away everything I thought I knew about yoga. Yes, I could hold a physical posture but I quickly learned this is only one component of a yogic lifestyle, and there was a whole other world that I knew absolutely nothing about. Through daily theory classes in anatomy/physiology, yoga philosophy, and yoga therapy my eyes became opened to the authentic (and incredibly inspiring) world of what it means to be a true yogi. This is not to say I didn't push my body to the absolute limit during daily Hatha and Ashtanga classes, but my practice off-the-mat was the real metamorphosis. I deepened my spirituality, developed a greater control of my mind and energy flow, and allowed myself to let go of the things that were no longer serving me. Those twenty-eight days came and went with the blink of an eye. I experienced the highest of highs and the lowest of lows throughout that month of teacher training; laughing so hard I cried one minute and soaking my bed sheets with heavy tears the next. Throughout week one I was riding on the adrenaline of the new experience. By weeks two and three I was irritable from sleep deprivation and physically exhausted from exerting my body in a way I had never done before. It wasn't until the last week of the program, as I became particularly focused on self-reflection, that a variety of newly-experienced emotions began to surface. As odd as it may sound, I was learning to get comfortable with being uncomfortable. I had an overwhelming urge to cry when I was filled with joy, noticed when my intuition told me to proceed with caution and began to develop an overall deeper understanding of my body and self. It's true what they say, "if it doesn't challenge you, it won't change you". Just as I had initially hoped, I watched and felt my body get physically stronger after every day of practice. I could lift my legs a little higher, balance a little longer and twist a little deeper throughout the course of a month... something I had somewhat expected. What I wasn't prepared for was my new and improved mental flexibility. People at home began to take notice as I enhanced my ability to focus on the 'now' and contently live in the present moment. I learned ways to use my breath to improve my sleep, elevate my mood and diffuse emotional turbulence when making decisions. I took the ‘yoga drugs’ and I’m completely awakened from my sleep. I have glitter in my veins and sparkles on my cheeks. I look in the mirror and am in love with what I see back. Without even knowing I was doing it, I clicked submit to a 200 hour yoga teacher training program and gifted myself a brighter, more fulfilling future. Thanks for checking out this post! No ready quite ready to do a teacher training program but would like to sharpen your yoga skills? 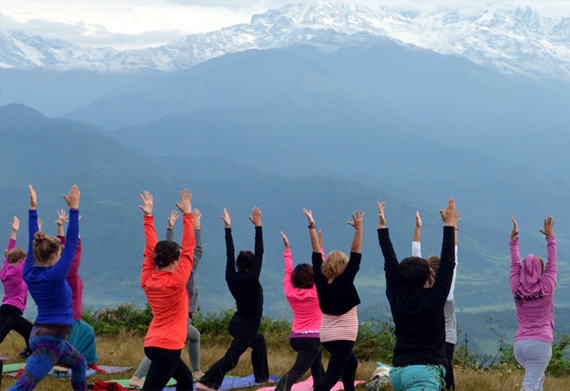 Check out our vast collection of yoga retreats instead! 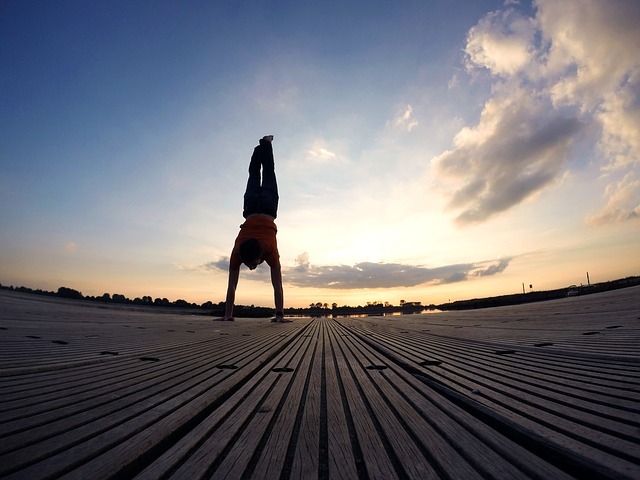 For more great yoga related post, find them on our blog’s homepage. 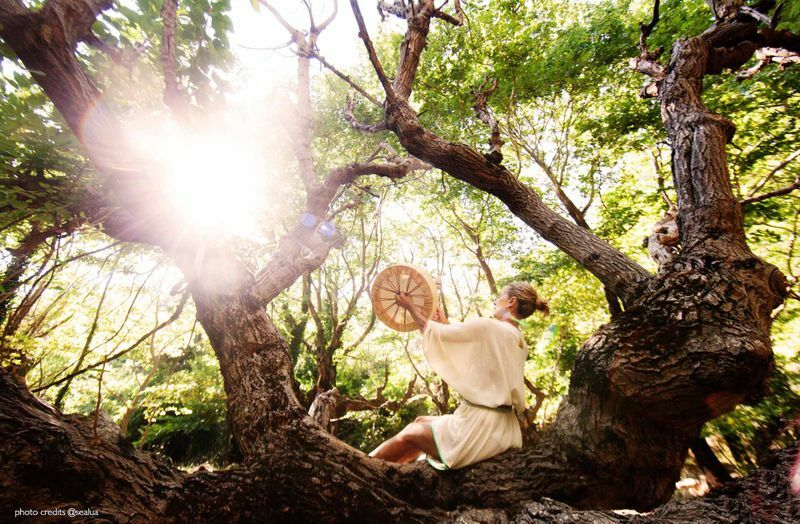 Natasha is a blogging enthusiast and deeply passionate about all things yoga! Six months ago she embarked from her home country of Canada on a journey around the world to rediscover her 'inner sparkle'. 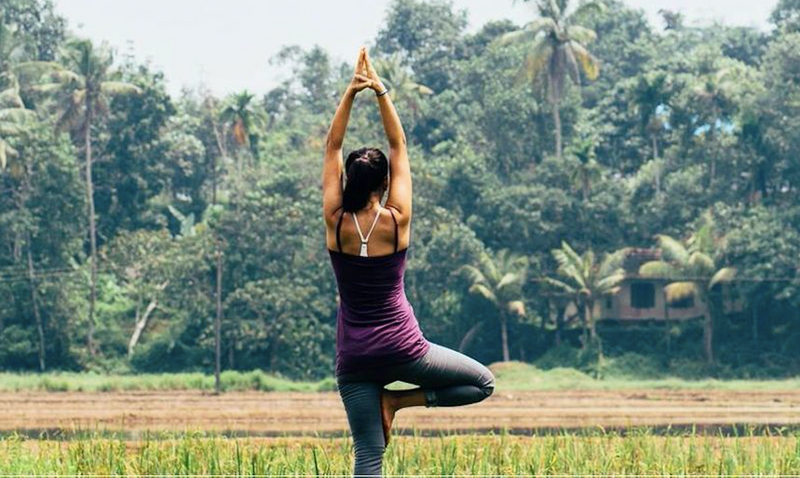 After completing her Yoga Teacher Training with Rishikul Yogshala, Natasha aims to cultivate a global awareness of mindfulness, presence and gratitude through her yoga teachings abroad and online writings. 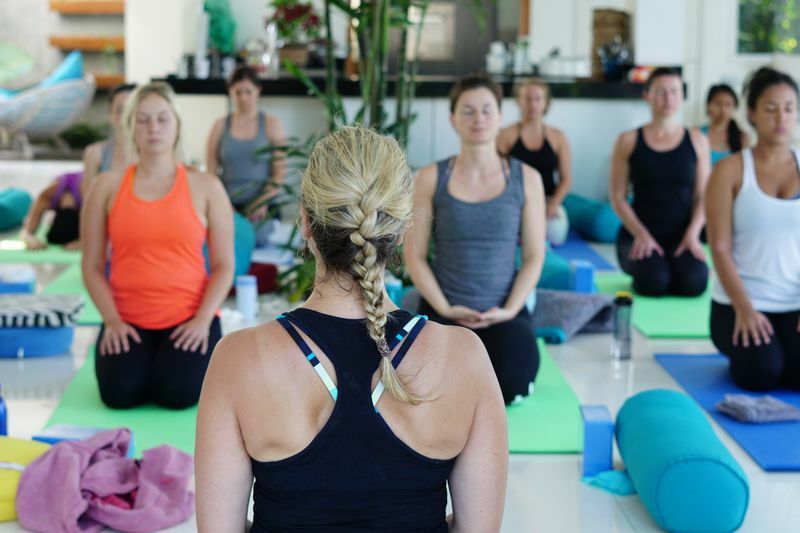 Tips on choosing a teacher training retreat!